Horseshoes are considered a lucky symbol so you're sure to spread the luck in this Large Horseshoe Print necktie! 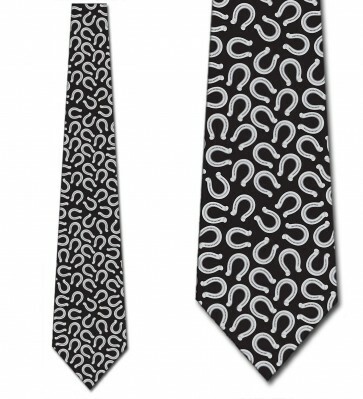 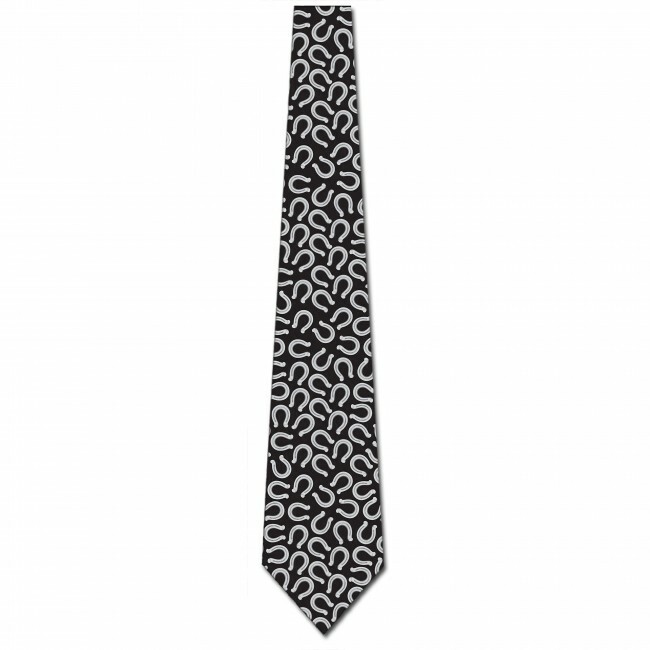 This equestrian themed tie features a repeat print of silver horseshoes over a black background. 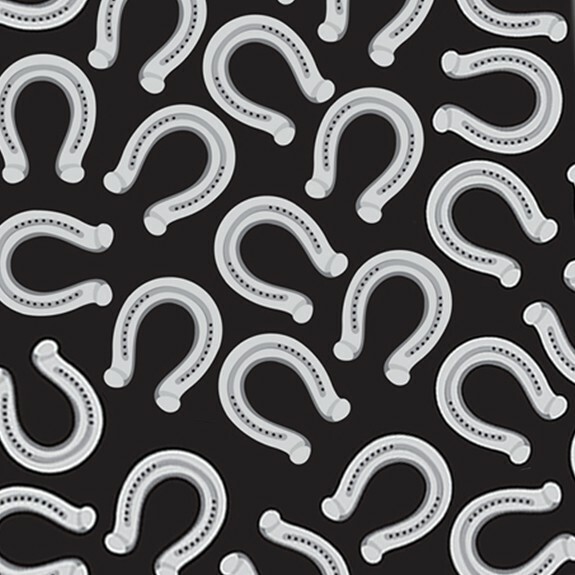 This is the perfect gift for horse lovers and anybody that could use a little luck!